Can you remember the last time fuel went down? No? We’re also at a loss. We can’t do anything about the price of petrol, but we can help you make every drop count so that you don’t need to fill up as often. We’ve rounded up the 8 most practical actions you can take to save fuel (and money) through more economical driving and 1 simple step to make sure that you save on car insurance every single month. Aircon can feel like a blessing from above in summer, especially if you’re stuck in traffic. But when you use the aircon, you use more engine power which leads to increased fuel consumption. Cold engines use more fuel to get going, but once your engine is nicely warmed it operates more efficiently. So you see, it’s better to plan ahead so that you can make 1 round trip rather than several short trips. It’ll come as no surprise that flooring it in the style of Fast and Furious causes your car to drink up fuel. The faster you go, the more the resistance and the more fuel you’ll burn. Rather build speed slowly by gently applying your right foot. It’s not all about speeding, though. You should also aim to generally drive at the lowest speed in the highest gear, without giving your engine a hard time. Oh, and it’s also worth driving with your car’s windows closed as much as possible. Open windows cause drag, which causes resistance and leads to higher fuel usage. Low coolant levels, dirty oil, gummed up air filters, tired spark plugs, and tricky brakes… All these things result in a decidedly inefficient engine, which leads to increased fuel consumption. That’s why it’s so important to do regular maintenance and servicing. We all know that looking after the tyres is essential to staying safe on the road, but it also goes a long way to helping you save fuel. The first step is to make sure your tyres are inflated to the correct pressure (dictated by your very own Emperor Owner’s Manual) to avoid under inflation which increases resistance and causes your engine to use more fuel to keep going. You’ll also want to check on your car’s wheel alignment, because bad alignment = more friction, which = more power and this (as you’ve probably guessed, because you’re super smart) = higher fuel consumption. Cruise control can help you save fuel if you use it on a constant flat surface. It doesn’t, however, do your fuel consumption any favours if you use it all the time on uneven, hilly roads. One of the reasons (without getting too technical) is that cruise control reacts slower to gradient changes. Think about going downhill. Cruise control keeps the power on for longer going downhill and uses more power and fuel as a result. But you, not being a machine, would have spied the downhill with your little eye and taken your foot off the accelerator much sooner and saved that little bit of fuel. A heavy car will affect your fuel economy. According to the experts (who use some fancy maths that we won’t bother with here), every 50kg will increase your fuel consumption by 2%. If you’ve yet to buy a car, it might be a good idea to take the weight of the different options into account. And if you already own a car, do your best to unburden your boot of unnecessary and heavy loads. Maybe remove the roof racks or shift that life-sized statue of yourself from the boot? And while we’re keeping things light, consider driving with only half a tank of fuel so that there’s less weight in your car. Heavy traffic generally involves a lot of stop-starting and clutch-controlling your way forward, inch by inch. Rather wait the traffic out and enjoy an easier (and road rage-free) drive home. We don’t think we’re being dramatic when we say that it seems as though there’s no relief in sight. Fuel prices are just going to continue to rise. 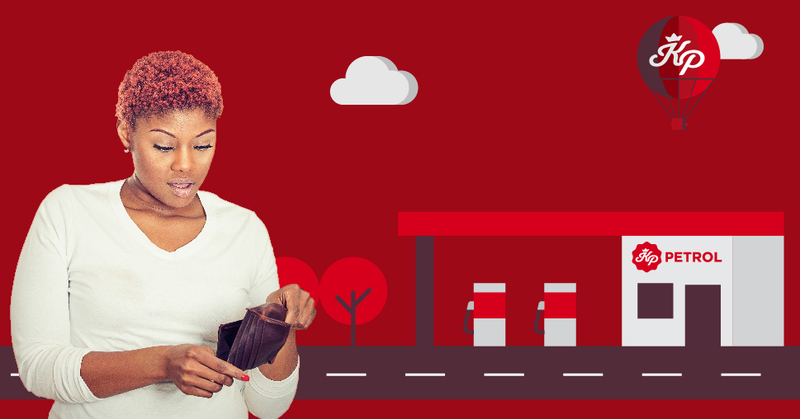 The only thing that will change is your superhuman efforts to conserve fuel and we’re totally assured of your ability to take these steps to save fuel and save money. While we’re on the subject of saving money, we can do 1 more thing to help you here. The king’s decreasing premiums model means that you save money every single month. Automatically and without hassle. All you have to do is get our royal comprehensive car insurance and we’ll do the rest so that your premium decreases in line with the depreciating value of your car. See? It just makes sense to get our royal touch in your life. Get a quick quote here or call our royal client care team on 0860 50 50 50.